We are delighted to announce the launch of a new web site specifically created to highlight one of the true design classics - the Kittoch Chair. We have been selling the Kittoch Chair for over 50 years and it is as popular today as it has ever been, so popular that we have not only created a web site, we have also created its very own Facebook Page. Customers often tell us that the Kittoch Chair is always the first one to be taken in the room regardless of the other furniture. Everyone wants to sit in the Kittoch Chair - could it be it's Regal appearance that attracts people to it? Somehow tartan fits in any environment and with any other colour, it looks great in a contemporary or traditional room. It's a funny thing, but we've never really come across a room where a Kittoch Chair didn't add to the overall design. It doesn't seem to matter what tartan; bright and bold or subtle and dark, the Kittoch Chair just seems to work - what other piece of furniture can make such a claim? Kittoch Chairs are made in the UK by craftsmen using the finest materials - they last for a very long time. Some of our original customers still have (and love) their Kittoch Chairs. And, because they fit in any interior, they tend not to be discarded when a room is redesigned or when customers moves to a different style of house. In most cases the Kittoch Chair becomes a family heirloom passed lovingly to younger generations. What other piece of furniture offers the opportunity to display your own family tartan? With literally hundreds of tartans to choose from, you can select your ancestral tartan or a favourite tartan. Better still, why not have two - one from each side of the family? Whatever the reason, there is little doubt that the Kittoch Chair represents excellent value for money and will become a real talking point in any home. 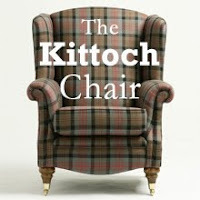 We are delighted to announce the launch of the web site where you can find out all about the Kittoch Chair and select your tartan from the enormous range available. 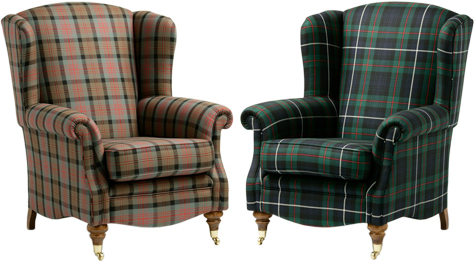 You can choose your tartan and buy the Kittoch Chair on the web site. When you've made your selection and completed the purchase we will send you a sample of the tartan you have chosen so that you can approve it prior to manufacture. The Facebook Page have lots of fun things and pictures of various people using their Kittoch Chairs, please "Like" it to keep up to date with all of the news from the "Kittoch Kommunity". Go to Facebook Page HERE If you found this article interesting please use the share buttons below to tell other people in your online community about it, there's a good chance they'll like it too.